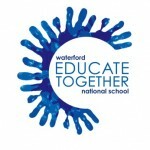 Board of Management | Waterford Educate Together N.S. Under the Education Act 1998, each school must have a Board of Management. This board must undertake to run the school according to the ethos determined by the patron, in keeping with the act and any regulations set by the Department of Education and Skills. Section IV of the act determines precisely what the functions of the board are. The fundamental legal concept of Educate Together’s patronage is that the Board of an Educate Together school is bound to operate a school that delivers equality of access and esteem to all children, irrespective of their social, cultural and religious backgrounds.